The Monterey Plaza Hotel and Spa celebrates Independence Day all weekend long! Special performances will include piano vocalist Angelica Hayden on Friday, rock n&apos; roll group Velvet Plum on Saturday and jazz swing band Laurent Fourgo on Sunday. On Monday the 4th of July country-western group 8 Second Ride performs and the Monterey Plaza serves up a delicious Independence Day BBQ. 5pm-9pm Friday- Sunday, 12pm-4pm Monday, 400 Cannery Row, Monterey. The Esalen International Arts Festival takes place Friday through Sunday at Esalen in Big Sur! The three-day festival celebrates art, culture and spirit with an extraordinarily diverse group of artists, musicians, performers, and teachers. The event will feature seven weekend workshops and a special world celebration of music and dance on Saturday afternoon. 55000 Highway One, Big Sur. $45-$65. Check out the world famous Lipizzaner Stallions this weekend at the Monterey County Fairgrounds. Several European horses and riders performs in this unique family oriented arena attraction on Saturday and Sunday. All new music, choreography and routines have been incorporated in this performance. Spectators will be stunned at what these horses can do! 2004 Fairgrounds Road, Monterey. $11-$26. CANCELLED!! This event has been cancelled due to a scheduling conflict. Head to Big Sur this Friday and check out Alela Diane and Dylan LeBlanc in concert at the Henry Miller Library. Both artists sing Americana and folk. 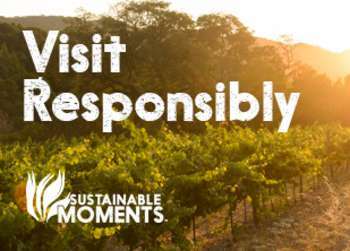 7pm, 49273 Highway 1, Big Sur. #30. Burnstitch takes the stage tonight at Jose’s Underground Lounge. The metal band will play original songs from their album Human Condition. 8pm, 638 Wave Street, Monterey. Alex Ramirez performs an acoustic bluesy folk set tonight at Pierce Ranch Vineyards. The back patio will be open for you to relax with a bottle of wine before the show. 8:30pm, 499 Wave Street, Monterey. Free admission to those 21 and older. Victory Lane with Elina performs tonight at Bullwacker’s. Step back in time and enjoy classic rock covers from Led Zeppelin, Stevie Wonder and The Beatles on the patio! 8:30pm, 653 Cannery Row, Monterey. No cover. Rex Wheeler will be back at London Bridge Pub tonight! Bring your friends and listen to Rex’s electric acoustic tunes. 9pm, 256 Figueroa St., Wharf #2, Monterey. No cover. It’s Founder’s Day at the Carmel Mission Inn. To celebrate the mission’s rich history the day will be packed with interactive hands-on exhibits, art, live music, a BBQ, a lineup of Spanish Colonial horses and a mass in the Basilica. 12pm-6:30pm, 3080 Rio Road, Carmel. The Monterey Bay Aquarium has teamed up with the Monterey Jazz Festival to present Evenings by the Bay. Jazz saxophonist Roger Eddy will kick off the summer series tonight. 6pm-8pm, 886 Cannery Row, Monterey. Free with aquarium admission. A Band of Ninjas will be back at Bullwacker’s tonight with special guests The Lone Gunmen. This is sure to be a great concert with covers from classic rock to blues. 8:30pm, 653 Cannery Row, Monterey. No cover. Fernwood Tavern is the place to be tonight for Americana and folk music. Several bands will perform including Ryan Christopher Parks, Hannah Moriah, Duck n Trusty Pop Explosion and Sharp Sickle. 9pm, 47200 Highway One, Big Sur. No cover. The Henry Miller Library hosts Jackie Greene tonight! The Salinas born singer-songwriter has toured with B.B King, Buddy Guy and Huey Lewis to name a few. Jackie will play his original Americana and blues jams. After Jackie’s performance head to Fernwood Tavern where Honeymoon ends the night at the after party. 8pm, 49273 Highway 1, Big Sur. $35 John Michael performs tonight at London Bridge Pub. The trained opera singer will play a variety of genres. 9:30pm, 256 Figueroa St., Wharf #2, Monterey. No cover. The City of Soledad celebrates America&apos;s Independence Day a little early! There will be food booths, music, face painting, a carnival and a firework show at dusk. 12pm-dusk, Gallardo Park, Soledad. Free admission (excluding carnival). Chill out at Big Sur River Inn this afternoon and listen to the jazzy tunes from Paige Too! 1pm-5pm, Highway One at Pheneger Creek, Big Sur. No cover. 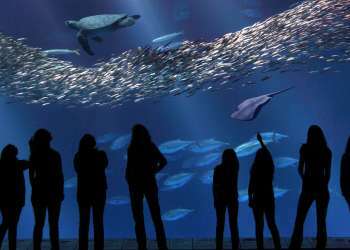 The Monterey Bay Aquarium is staying open late for another Evenings by the Bay. Tonight&apos;s jazz performance will include Gary Meek with Eddie Mendenhall, Dan Robbins and Kim Edmundson. 6pm-8pm. 886 Cannery Row, Monterey. Free with aquarium admission. Listen to the Blonde Redheads tonight at the Henry Miller Library in Big Sur! The indie and psychedelic rock group will play songs from their newest album Penny Sparkle. 7pm, 49273 Highway 1, Big Sur. $30. Spreckels will kick off the 4th of July with a 10k run and a parade through the quaint small town. At 10am the Monterey Bay Symphony will present a free one-hour program titled “Main Street Classics” at Spreckels Memorial Park. The performance will include “Fanfare for the Common Man,” “Stars and Stripes Forever” and “Liberty Bell.” 9am-12pm, Hatton Avenue between 2nd and 3rd Streets, Spreckels. Free admission. 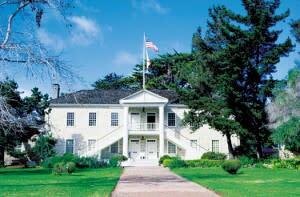 Celebrate the 4th of July at Monterey’s Lawn Party in front of Colton Hall. There will be a BBQ, live entertainment, kid’s entertainment and more! Don’t miss musical performances from the Monterey Community Band, Papa Doo Run Run, Shane Dwight and Pop Fiction. 11am-5pm, 570 Pacific Street, Monterey. Free admission. Living History Day will take place at the Cooper Molera Adobe in Monterey. Visitors can step back in time and have a glimpse of what it was like to live in the 19th century. Exhibits will include blacksmithing, rope making games and more. 11am-3pm, 525 Polk Street, Monterey. Free-$5. America’s Last Hometown, aka Pacific Grove, will host a 4th of July Celebration for the public at Caledonia Park. Expect plenty of live entertainment, food and a special introduction from Panetta Institute&apos;s Dr. Richard Kezirian. Children&apos;s activities will include a bounce house, games and snow cones. Parents can chow down on a BBQ lunch and enjoy a performance from Pacific Grove local band Firefly. 11am-2pm, Central and Jewell Avenue, Pacific Grove. $5 for children and $10 for adults. Pack a picnic lunch and head over to charming Carmel-by-the-Sea for the 9th Annual 4th of July Celebration. The old-fashioned patriotic event will include plenty of family fun including games, food and a performance from Cheeky Spanks! 12pm-4pm, Devendorf Park, corner of Junipero and Ocean, Carmel-by-the-Sea. Free admission.